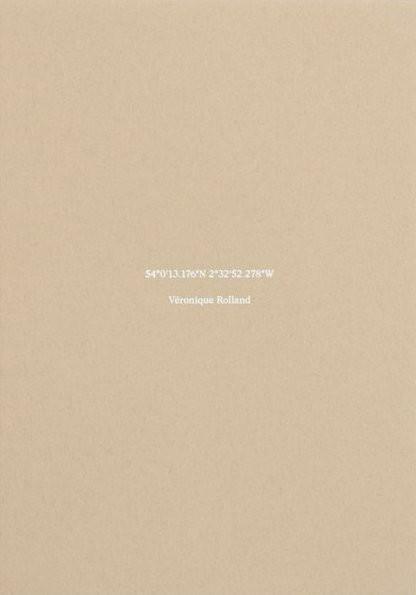 Rolland’s book is part of a project about the centroid location of Britain. It lies in the most desolate and remote place in the Forest of Bowland, in Lancashire, an Area of Outstanding Natural Beauty. This project looks to question the exactitude of place and our relationship to identity within notions of the contemporary Sublime. 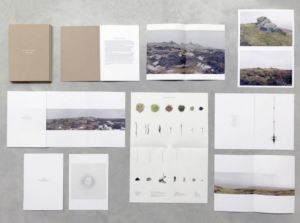 The book is made up of multiple booklets inside of a folding box. 148mm x 210mm box contains: 16 page introduction booklet, 20 page film still booklet, 2 fold-out concertinas, 3 postcards, 1 folded A3 poster. First edition of 106 + 6AP’s. Hand numbered.